Kit transmission input gear. 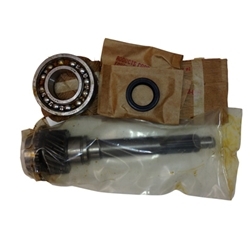 These NOS kit also include the input bearing, needles, snap rings and input retainer seal. These have been quite hard to find.